Down & Out Books, 9781948235396, 310pp. After nearly two decades in prison, high school gridiron great Dan Parrish returns to his hometown in rural Kansas with nothing more than a duffel bag and a desire to quietly get on with his life. But picking up the pieces in a place where he was once revered isn't as easy as he hoped, especially for a convicted felon in the Bible Belt. And in no time Dan has landed squarely in the crosshairs of an old, high school nemesis, the unctuous Judge Rick Hunter who warns Dan to "leave Echo now or be sent back where you came from." 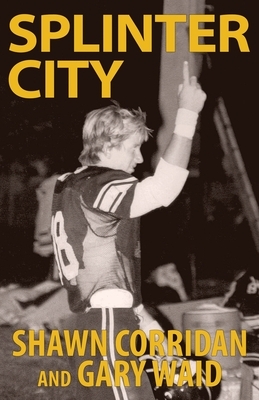 When Dan is offered a dream job--a coaching staff position with the Echo Junior College football team--he must decide between accepting the offer and risking his newfound freedom; or leaving Echo, tail between his legs, and breaking the promise he made to his dying father. Meanwhile, Dan is falling fast for his college professor, a beautiful but enigmatic outsider who challenges him to stay in Echo. And in an odd twist of fate, Parrish's final decision results in an outcome that splashes his name and face across every county news outlet in Kansas, forcing the former star to face off against his two most formidable adversaries: his age and his checkered past.